In the ABA League Round 16, Partizan celebrated 92 – 97 (+5) against Zadar (after one overtime) in the Krešimir Ćosić Sports Hall. After 45 minutes, the team from Belgrade (“White City“) managed to score an important win for the chance to fight for the Playoffs. The Home team took the lead at the beginning of the match and, in the second part, Partizan managed to turn the game around. Eventually, after the first 10 minutes, the hosts were leading by 3 (23 – 20). In the second quarter, the guests managed to take the lead and that part of the game was finished with a score 23 – 30 (+7) for Partizan. 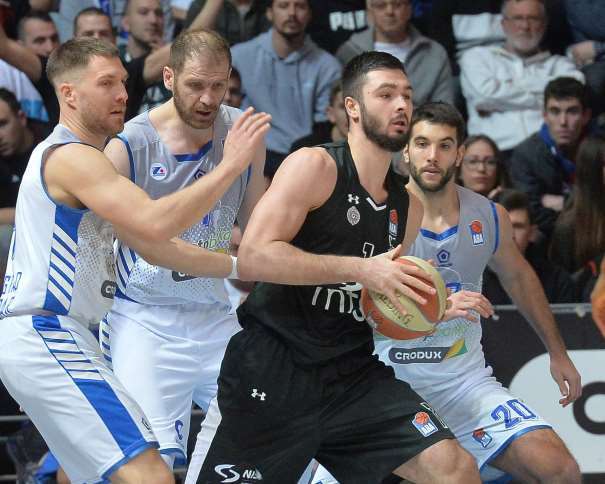 In the third quarter, the Black and Whites (Crno-Beli) were leading by 14 (48 – 62), but Zadar got back and before the fourth quarter the away team was leading by 4 (65 – 69). In that 10 last minutes the crowd in Višnjik (Krešimir Ćosić Hall) was able to see the real drama, and both teams had a chance for the triumph but, at the end, they had to play 5 minutes more. In the overtime, Marcus Paige made the first shot (3 pointer) and after those points Trinchieri’s squad was constantly leading. Even though the guest were leading, everything was open until the last 7 seconds when Vanja Marnković made a three pointer for the final result of 92 – 97. The Player of the match (MVP) was Paige with 28 points (7 from 10 behind the three points line) and an index rating of 29. His teammate Vanja Marinković finished the match with 13 points (index rating of 6), while Nikola Janković scored 12 with 7 rebounds (index rating of 15). 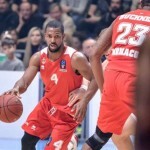 Two players finished the game with 10 points each one of them: Alex Renfroe, who also had 10 assists (index rating of 13) and Stefan Janković (index rating of 15). 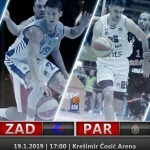 If the scenario of the game had been different, if Zadar had won, two players would be the heroes: Vladimir Dašić and Luka Božić (both of them had an index rating of 21). Dašić finished the match with 17 points and 7 rebounds while the best player of Zadar scored 13 points with 6 rebounds. Mario Little was the Top scorer in the home team with 20 points (index rating of 14), while Luka Žorić added 16 (index rating of 17) and the last player with double-digit points was Lovre Bašić with 15 and 6 assists (index rating of 13). After the win in Zadar, Partizan is remaining in “the best 4 club“, while the home team is still in the dangerous zone. But there are still many games left (6 more). The next challenge for the Serbian squad is the game in Monaco, in the EuroCup, on Tueasday, and in the ABA League Partizan is hosting Mega Bemax next Saturday, on January, 26th.